The Isle of MTV, one of the largest music festivals in Europe has been held annually in Malta since 2007. For holiday-makers who happen to be in Malta in time for this concert, take note, this is one not to be missed! This concert, held in partnership between MTV and Malta Tourism Authority, has become an event which is very much sought after by youngsters who visit Malta specially to attend this music festival. Since the first Isle of MTV was held in Malta, the number of visitors to Malta under the age of 24 has increased by 120%. 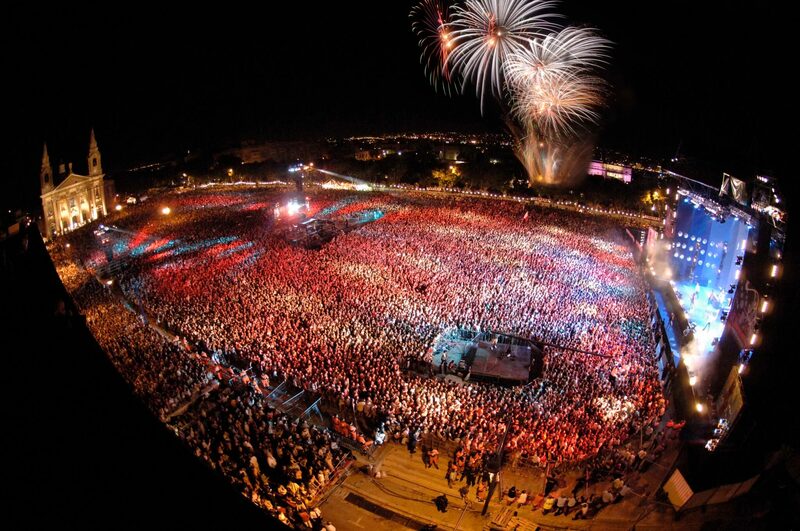 It is estimated that around 50,000 people attend this open air concert. Artists who performed in previous years included the multi-platinum selling artist Wiz Khalifa, world famous artist Steve Aoki, Jess Glynne, Black eyed Peas, Lady Gaga, the Chainsmokers, DNCE, Jonas Blue, Clean Bandit, Maroon 5 and Enrico Eglesias amongst others. This year an entrance ticket which you can obtain for free is required. Besides the Isle of MTV concert, in the days leading up to the concert The Malta tourism Authority together with G7 events will be hosting Malta Music Week. Top local artists and international guests will be performing in various events such as club nights and sunset beach parties. Tickets for the additional events are against paid tickets. It is possible to get a package ticket or pay for individual events. This concert takes place annually either at the end of June or beginning of July. Entrance for this concert is free (free ticket is required) and is held at the Granaries in Floriana. Ticket holders under the age of 14 must be accompanied by an adult. The weather is very hot at this time of year so do take a cap to protect yourselves from the sun and take some water with you. There will be food and drink stalls and also toilet facilities available. The first gate opens at 15.00hrs and all gates will be open at 17.00hrs. The concert starts at 18.00hrs with Maltese artists, followed by the International artists at around 20.00hrs. Malta public transport organises extra buses for this event, however do take note that there will be many people wanting to take buses back after the event. If you have the opportunity to take organised transport it would be a good idea. Alternatively you could opt to travel to Sliema by ferry boat and avoid all the traffic jams getting out of Valletta. This year the concert will be taking place on 27th June. The Belgian brothers and world famous DJs Dimitri Vegas, Like Mike, Jason Derulo, Hailee Steinfeld, Sigala, Paloma Faith and Ella Eyre will be among the performing artists for this year’s event. Enjoy your stay in Malta and the Isle of MTV Concert!